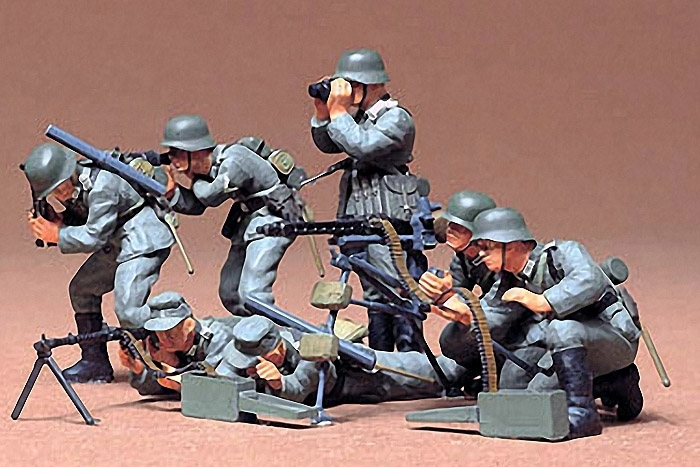 At about the middle of the 1930"s, the German Army organized offensive infantry corps which had machine guns and machine pistols as the nucleus of their small arms. The infantry division contained three regiments as its main body. Each regiment consisted of three battalions, which had four infantry companies each. The 1st, 2nd and 3rd companies each had twelve light machine guns, sixteen machine pistols, three light mortars and two antitank guns. The 4th company, which was called machine-gun company, was equipped with twelve (later sixteen) heavy machine guns and six medium mortars.